Here are three important Chrome extensions students can use to clip web content. These are particularly helpful when doing research. 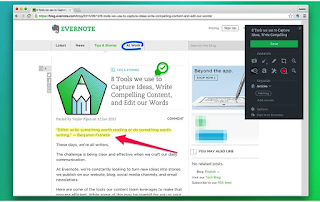 They allow you to take quick screenshots, record your thoughts and notes, annotate web content and share with others or save it to your cloud accounts (e.g Evernote, Google Drive). 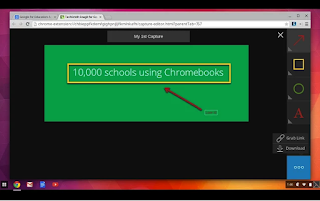 For a variety of other options to create screencasts and curate web content , check out this page. 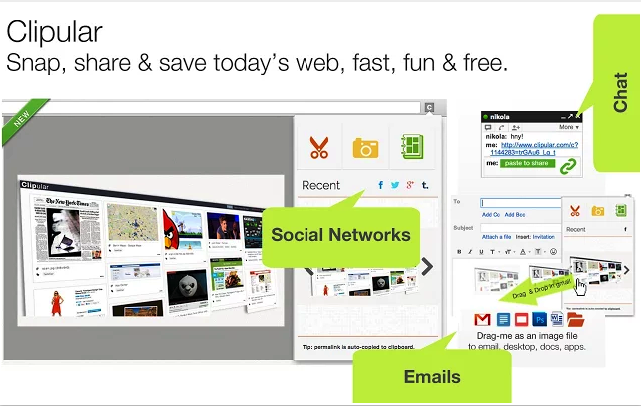 This is an Evernote add-on that allows you to instantly clip web pages and save them to your Evernote account. You can use tags to organize your notes. Other interesting features provided by this extension include: highlighting text in any web page, using callouts to draw attention, sharing clipped content through email or via a unique URL.